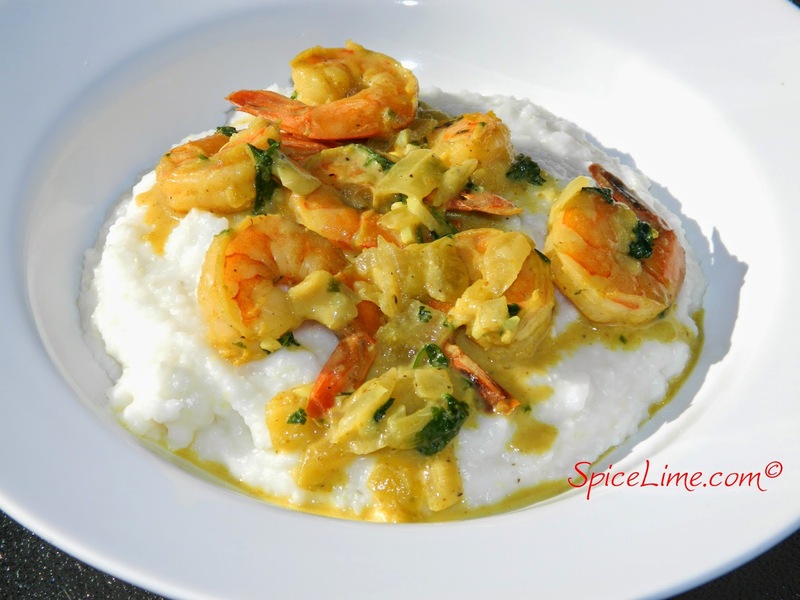 Spice Lime: So Delicious...Coconut Curry Shrimp and Grits! So Delicious...Coconut Curry Shrimp and Grits! 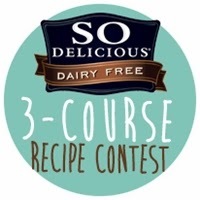 Godairyfree.org and So Delicious are having a recipe contest! The challenge is to create a dairy-free dish featuring one of So Delicious' Dairy Free products. Since I am a lover of all things coconut, I jumped at the chance to use their coconut milk. My recipe entry is Coconut Curry Shrimp and Grits. I made an easy shrimp curry with flavors of lime, garlic, onion and cilantro. 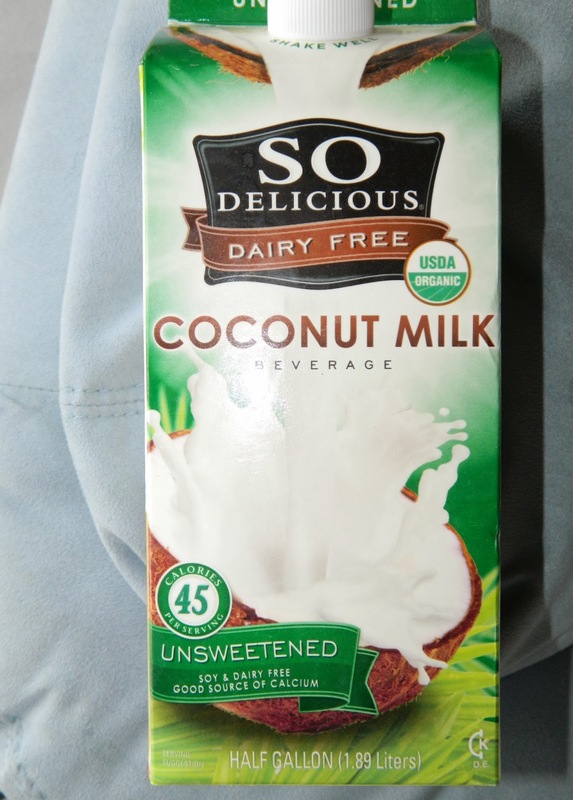 So Delicious Dairy Free Unsweetened Coconut Milk adds creaminess to the curry as well as that delicious coconut flavor. Usually, I make grits with chicken stock, but decided to give it a try with the coconut milk. The result was amazing... a creamy texture with a beautiful white color. It tasted as good as it looked! 1. In a large bowl, combine shrimp, lime juice, garlic, chives, salt and pepper. Mix well, cover and place in fridge for 20 minutes to marinate. 2. Heat oil in a large pan over medium heat. Add onion and saute for 3 minutes. Add seasoned shrimp and curry powder. Saute shrimp till pink on both sides, about 6 minutes. Stir in coconut milk and brown sugar. Let simmer over medium-low heat for 10 minutes. Stir in cilantro and remove from heat. 3. For the grits: In a medium pot, combine coconut milk and water. Bring to a rapid boil over medium heat. Slowly stir in grits and salt. Reduce heat to low and cover. Let cook until thickened, about 15 minutes, stirring occasionally. 4. 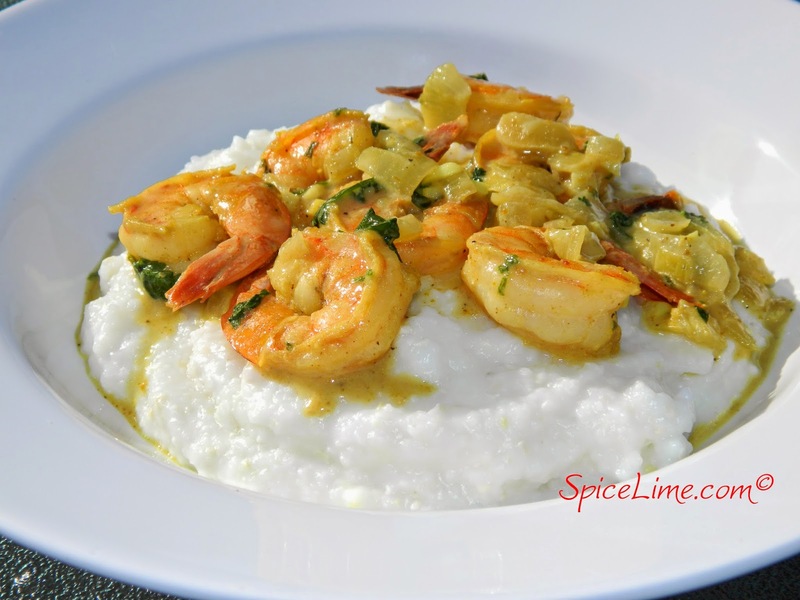 Spoon curry shrimp over grits and serve immediately. Serves 4. You've never had shrimp and grits this good! So excited to update that my recipe won the Main Course category in the contest! Looks fantastic! I love this flavor combination. THis looks moist, flavorful and I want to bite into one right now! Wife, Mom, Award-winning home cook. My roots and heart are Caribbean, but I love exploring (and eating!) other cuisines. Come lime and have a delicious time! Copyright Kadija B, Spice Lime. Powered by Blogger.